Stick on grips have never been easier with the new JTDefense grips. These precision, laser-cut grips fit Glock 26, Glock 27, Glock 28, Glock 33, and Glock 39 Gen 3 handguns. They also fit Gen 2 and Gen 4 pistols, though may require some modification for Gen 4 pistols depending on which back strap is used. There is enough overlap of material to ensure fitment is correct. The JT Defense grips, for the Sub Compact Glock pistols, fit all 9, 40, 357 sig, and other caliber narrow frame sub compact Glocks. The JT Defense wrap around design features seamless wrap, laser cut, where adhesive sticks to the frame, allowing years of service from your grips. The grips serve to not only wrap around the frame of your sub compact, but also add excellent protection to the polymer frame of the pistol, far up onto the frame, almost to the slide area. These are adhesive sand paper grips, made out of a similar material and texture to skateboard tape, custom cut on a laser cnc machine to fit your exact model of firearm perfectly. 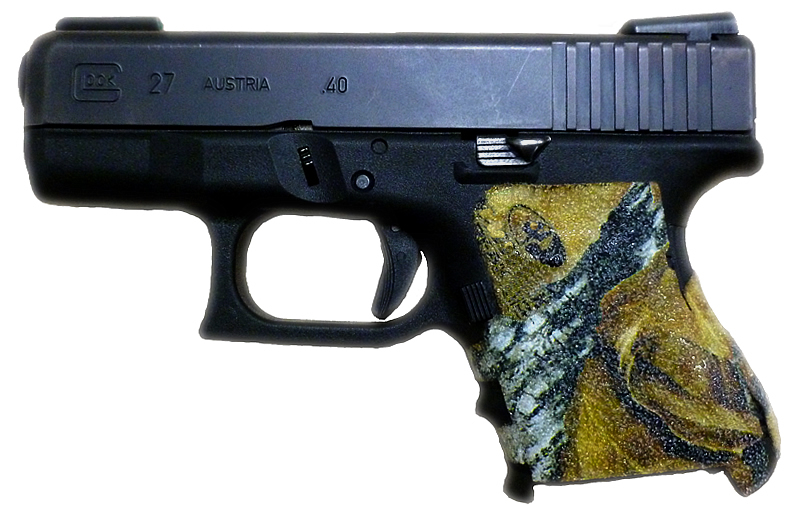 Pictures shown are various color grips for Glock 27 Sub Compact. All other sub compact glocks are identical in appearance and function. The grip materials are semi-aggressive, with Black Granule grip being the most aggressive. Most competition shooters use the Black Granule texture for excellent grip strength and confidence when shooting. These adhesive grips add a huge level of confidence, especially on the smaller sub compact frame glocks. 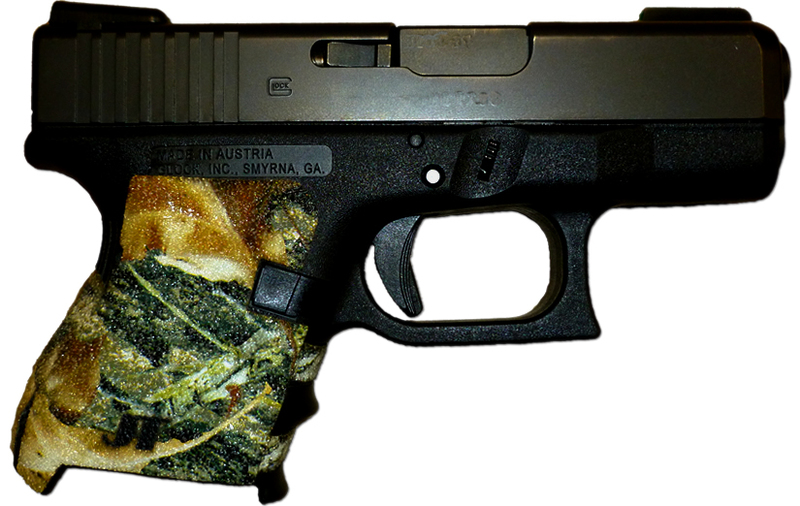 Once you install the JT Defense grips on your glock, you will want them on every gun you own. Check with us for grips on any gun you have. If we don't have them, we will make them for you.